 Below is a list of continuing care retirement communities in Philadelphia, Pennsylvania. If you need additional help finding care for you or a loved one please contact our FREE care counselors at 1-800-955-8510. White Horse Village is located on 96 acres of woods and meadows adjacent to Ridley Creek State Park in Edgmont Township, Delaware County. The arboretum-like campus attracts people over the age of 62 and is pet friendly. Headquartered in Tucson, Arizona, Watermark currently manages more than 50 communities nationwide, offering CCRCs, independent living, assisted living, memory care and rehabilitation & skilled nursing neighborhoods. Watermark has developed transformative programs that support physical, intellectual, emotional and spiritual well-being. Family owned and operated for over forty years, Harrison Senior Living, is a premier provider of Senior Living in Pennsylvania, Delaware, and Maryland. With two communities located in Southeastern Pennsylvania just ten miles from each other, Harrison Senior Living is able to offer a continuum of care for residents requiring any level of care. Bellingham is the perfect choice for residents and families who are looking for a continuum of care community, in which residents can access West Chester Independent Living, Personal Care, Memory Care, or Skilled Nursing and Rehabilitation. Riddle Village is a Lifecare community located in Media, Pennsylvania. Conveniently located right beside Riddle Memorial Hospital part of the Main Line Health System. Barclay Friends is a member of the American Association of Homes and Services for the Aging, the Pennsylvania Association of Non-Profit Homes for the Aging, and Friends Services for the Aging. Cathedral Village is a nonprofit, nondenominational and multicultural Continuing Care Retirement Community (CCRC). Ideally located in Andorra, a residential neighborhood in Philadelphia, Pennsylvania, the community occupies over 40 acres of beautifully landscaped grounds.